Mama Fashionista: Meet Kidophilus Plus - a Probiotic Supplement for Kids from Zahler! 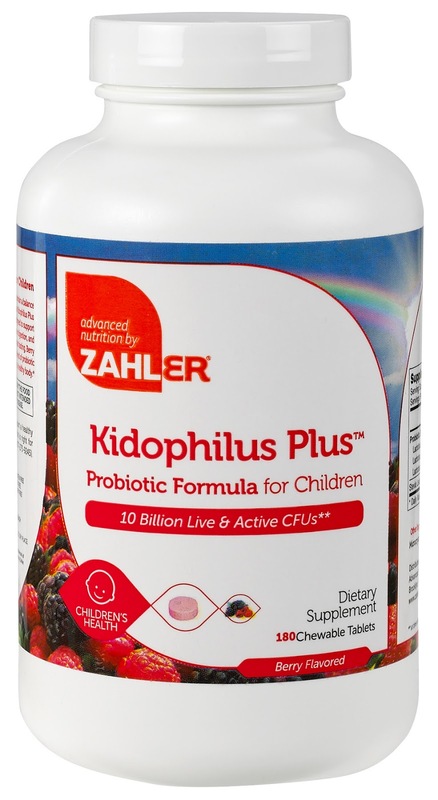 Meet Kidophilus Plus - a Probiotic Supplement for Kids from Zahler! Kidophilus Plus™ Advanced Probiotic Formula for Children contains 10 billion live and active CFUs. With a highly potent blend of four distinct probiotic strains, including the all-important L. Acidophilus (Lactobacillus acidophilus), Zahler®'s Kidophilus Plus works quickly to help suppress the growth of potentially harmful bacteria, improve immune function, and enhance the protective barrier of the digestive tract.